Drivers have a responsibility to help prevent accidents. After all, even a minor fender bender can turn a good day sour. One of the easiest and most effective preventative measures is using a 120° RV Front Wireless Camera. This affordable camera gives you a clear view of any obstacles that may be obstructed by blind spots. Instead of worrying every time you back up, you can simply watch your monitor and navigate with incredible ease. In the past, a backup camera was usually an extravagant upgrade only those with extra money to spend can afford. Today, that has changed. Camera technology has come a long way, which now allows you to buy a premium front camera without breaking the bank. Our 120° RV Front Wireless Camera will fit into most budgets, without sacrificing the quality that informed consumers demand. There is really no more reason to put yourself and others at risk by attempting to back up blindly. The Wireless Front Camera is undoubtedly one of the best front cameras systems on the market. It is finely crafted using quality materials, and its heavy-duty casing will protect it from any dings or dents that would damage a lesser camera. Whether it is raining, snowing or hailing, you can trust this camera to withstand any sort of weather. This is not some flimsy camera; it is a sturdy piece of equipment that will provide you with consistent performance for years to come. Offering wireless performance, the 120° RV Backup Wireless Camera is a breeze to use and install. You don't need to have any prior knowledge about backup cameras to get started with this one. With a 50-feet wireless range that can penetrate any vehicle, you can start enjoying the convenience of a backup camera without having to connect it to your vehicle's power system. This camera is often used by commercial and industrial professionals in situations where high performance is critical. At Tadi Brothers, we only carry products that we believe in 100%. We want our customers to be able to buy from us confidently, knowing that they are getting the most value for their dollar. 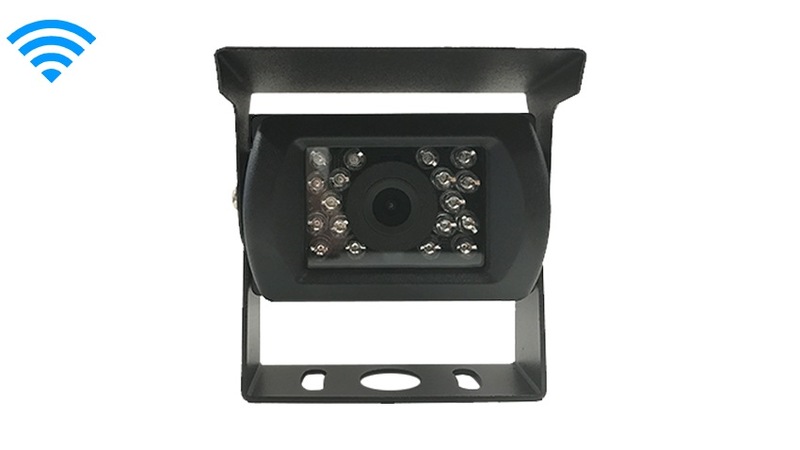 The 120° RV Backup Wireless Camera is loaded with all of the features you would expect from a top-of-the-line camera, like military-grade night vision, an integrated sun shield, HD video quality and a durable die-cast aluminum casing. When you order from Tadi Brothers, you never have to worry about corners being cut. This camera is the real deal. A backup camera is an essential piece of equipment for drivers who are looking for a solution to blind spots and for anyone who wants to add another level of safety to their vehicle. Unfortunately, many drivers don't realize how important it is until it's too late. Investing in a quality camera is one of the easiest ways to prevent accidents, and now it is is finally affordable as well. Order this superb camera conveniently online today.